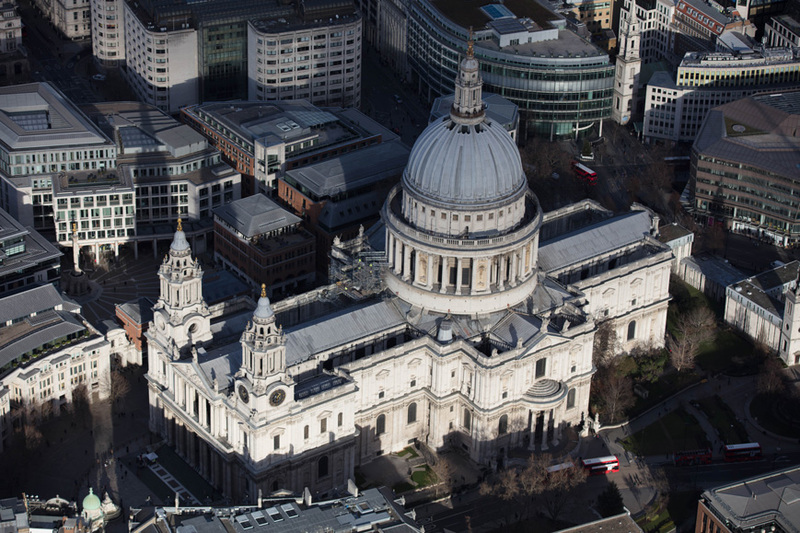 St Paul’s Cathedral, with its world famous dome, is an iconic feature of the London skyline. The largest Cathedral in England, it is the masterpiece of Britain’s most famous architect Sir Christopher Wren. It was recently selected as the venue of a prestigious lunch hosted by the Mastic Asphalt Council (MAC) for architects, specifiers and contractors, as a superb example of the durability of mastic asphalt roofing. Mastic asphalt was first laid in 1906 on the Stone Gallery that circles the Cathedral dome and it provided a remarkable 111 years’ weatherproof protection before it required refurbishment last year. 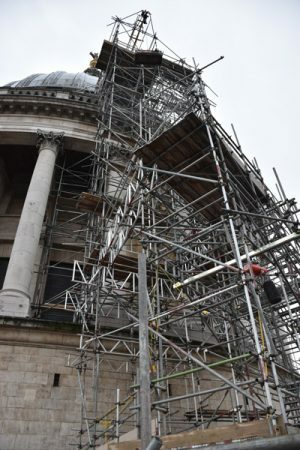 MAC member Sussex Asphalte secured the contract to replace the asphalt around the Cathedral dome and the project was deemed so successful that it won the accolade of Project of the Year at the MAC Awards Ceremony for 2018. 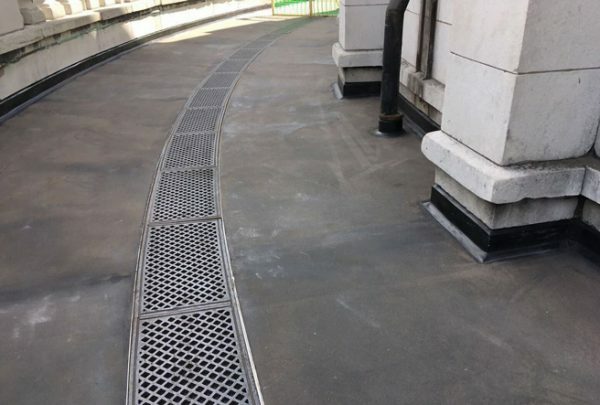 Earlier in the year, Sussex Asphalte and IKO PLC celebrated another award for the application at St Paul’s Cathedral as it was selected as the Best Mastic Asphalt Project at the NFRC (National Federation of Roofing Contractors) Annual Awards. The mastic asphalt refurbishment was carried out on the first of two galleries above the Whispering Gallery that encircle the outside of the dome of the Cathedral. At 53 metres high, the Gallery’s exposure to the elements and surface deterioration had caused water ingress, subsequently damaging artwork inside the dome. A £200,000 grant was awarded to the Cathedral by the government-sponsored First World War Cathedral Repairs Fund to protect huge murals by Sir James Thornhill, which depict the life of St Paul. With the application totalling a surface area of 416m2, successful project management and skilled mastic asphalt installation in accordance with BS 8218:1998 were key to conserving one of the most important architectural structures in the UK. Works were phased to ensure there was no disruption to public access to the Stone Gallery sections. This was critical, as thousands of visitors from all around the world visit the Cathedral every week and the Stone Gallery forms a key part of the Cathedral’s visitor experience with impressive views across London. The height and highly sensitive fabric of the building meant that all materials and waste were carefully transported on and off site via three hoists, requiring careful operation and management. Sussex Asphalte’s skilled craftsmen replaced asphalt originally laid in 1906 with IKO Permaphalt, a specially formulated, polymer-modified mastic asphalt providing exceptional long-term durability, increased fatigue resistance, enhanced temperature stability, ease of installation and carbon neutral properties. Applied in a three-coat application at 35mm, the first coat of IKO Permaphalt was applied at 10mm to level out old stone, the second coat was also applied at 10mm and a third coat was applied at 15mm with associated details and solar reflective paint to exposed upstands. The asphalt was stripped and re-laid in sections to ensure watertightness, as the asphalt provides a totally seamless installation. Stripping enabled the client to view the condition of the Portland Stone paving beneath the asphalt. During the process a disused stairwell was revealed, which remains as a feature, having been made safe by the contractors. This ‘secret staircase’ offers sight of some of the flying buttresses Sir Christopher Wren had designed to be kept hidden and views into the roof space above the quire in which World War II bomb damage and repairs are still visible. The Stone Gallery includes a central gutter covered by iron grills that were removed, cleaned and refitted on the new asphalt. To ensure the correct width of asphalt was applied, a gutter template was fabricated and used as a guide by the mastic asphalters, requiring skilled precision work. Other detail work involved adjustments to rainwater outlets to improve drainage, and vertical upstand into a chase, including a double angle fillet around the Galley’s circumference, totalling 286 linear metres. Through excellent project management, the works were completed ahead of schedule. Given the conservation and architectural significance of St Paul’s, Sussex Asphalte worked with the Clerk of Works to St Paul’s Cathedral to use this project to promote the use of mastic asphalt by arranging a behind the scenes tour of St Paul’s Cathedral and a viewing of the mastic asphalt works on the Stone Gallery with a group of architects and surveyors. Julian Coulter, Director of Sussex Asphalte said: “This project involved replacing mastic asphalt that was laid over 100 years ago, demonstrating the robustness and longevity of the material despite its exposed location and having had millions of tourists walk on the Stone Gallery in the intervening years. Mastic asphalt provided the ideal seamless and hard-wearing material. “Despite the tremendous success of the project, it was extremely challenging due to the importance and heritage nature of the site. Our operatives had to ensure that works did not disturb services taking place in the Cathedral and it remained operational during the application. 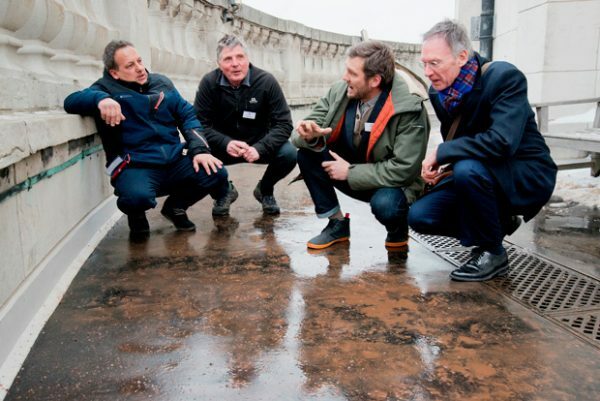 The opportunity to contribute to its renovation using mastic asphalt on the iconic Stone Gallery was a unique project not only for Sussex Asphalte, but also the mastic asphalt industry as a whole. It is one of the most important projects in the company’s 70-year history,” he continued. This article was published in the July issue of Roofing Today – click here to take a look.